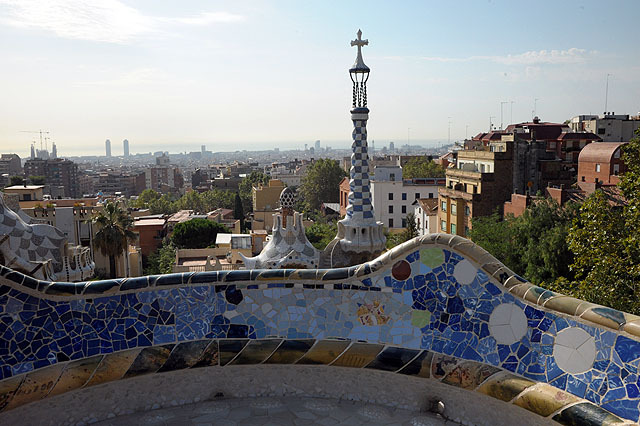 When the Disney Magic heads to Europe for some Mediterranean fun, it typically ports in the city of Barcelona, Spain. A lot of people choose to add a few days pre or post cruise in this lovely city to help fight jet lag and get a little extra touring time. I chose to add my days pre-cruise so when I landed at the airport I was able to hit the ground running to see as much of the city as possible. 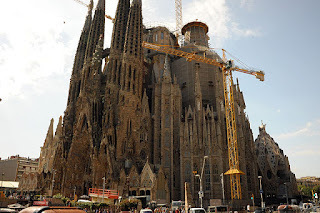 Barcelona is a city full of rich history, culture and gorgeous architecture. So where can you even begin? Here are a few of my favorite things from my trip. Spanish cuisine is known for sangria (alcoholic punch), paella (traditional rice dish), and tapas! 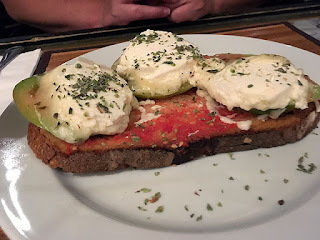 If you have time, I suggest seeking out all three, but if there's only time for one meal, I do suggest tapas. Why? Tapas are small plates with a variety of appetizers or snacks- so you can try a lot and really get a feel for Spanish Cusine. Tapas restaurants often serve sangria and can have paella on the menu as well. The culture of the city leads to later meal times, so if you see a place at lunchtime or early dinner time and it looks empty don't let the lack of crowds deter you! This old street which runs through the heart of Barcelona is a classic tourist area, similar in feel to Champs Elysees in Paris. There are shops including El Corte Ingles; a department store where you can find almost anything you need. 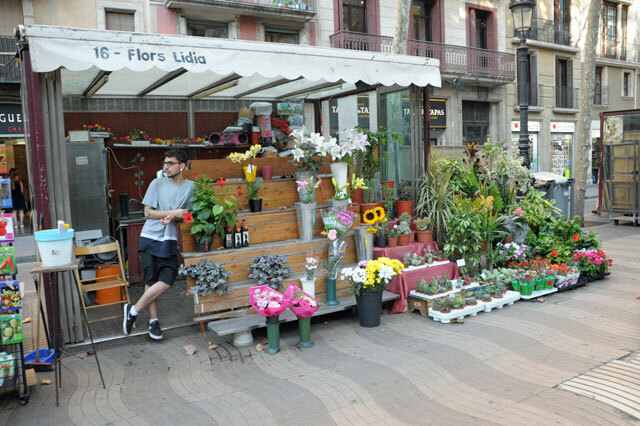 Gorgeous open air flower tents and a dozen or more restaurants line the street. These are great places to grab a drink, smell the flowers, relax and enjoy your surroundings. You can explore popular tourist destinations such as Christopher Columbus Memorial, Liceu Theater, watch the street performers and more. Las Ramblas is beautiful at night but daytime holds a precious charm. 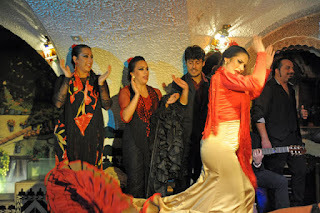 The Flamenco dance is a time honored tradition and a part of Spanish culture. There are numerous places to find a show and many also offer dinner and a show package (which is what we chose to enjoy). Even if you don't speak Spanish, the song and dance transcends language and is a beautiful form of art that isn't to be missed. Park Guell is a park on the outskirts of the city designed by Gaudi. It has elements of nature woven into the architecture and is buzzing with the hum of tourists coming to take it all in. Don't miss the sweeping views of the city and the dragon sculpture! This area was originally designed to be houses for the rich and famous of Barcelona, but after its inception, those with enough money to invest in a house here decided they'd rather be in the hubub of the city and close to the action, so the full plans for the park never saw completion. This famous basilica has been under construction for the last 200 years and isn't anticipated to be complete for at least 10 more. It's truly awe-inspiring and one of those things where pictures just don't do it justice. Take the time to explore all sides of the exterior. Because of the length of construction, different artists have put their spin on different walls and you can see the distinctive styles. If you want to go inside, I recommend getting tickets in advance because the lines can be very long. It is a functioning church holding mass regularly. This beautiful Benedictine Monk Mountain Retreat is a bit outside of Barcelona but was one of my favorite spots on the whole vacation. If you have the time to make the trip I would highly recommend it. 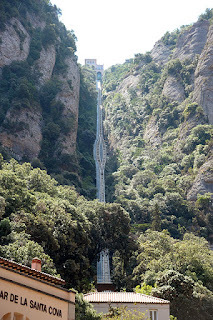 It's located in a mountain so the views are stunning and it has a wonderful small-town charm. Monks produce goods that are sold in quaint little shops and you can take a tour of the church or visit the Black Madonna, you can also hike the trails for better views of the Catalonia countryside. There's also a few options for food once you arrive. Our tour only had a short amount of time here, but we easily could have spent a few hours to take it all in. You can explore these places on your own or find a tour that hits a few of your favorites. Your Kingdom Konsultant agent would be happy to help you find the perfect solution for your interests and time allotted to this beautiful city. Have you been to Barcelona? We at Kingdom Konsultant Travel would love to hear about some of your favorite memories.